A phase change, or transition, occurs when a substance undergoes a change in state on a molecular level. In most substances, changes in temperature or pressure result in a substance phase change. There are several processes of phase changes, including fusion, solidification, vaporization, condensation, sublimation and physical vapor deposition. Fusion occurs when a substance changes from a solid to a liquid. Prior to melting, strong intermolecular bonds or attractions hold the atoms, molecules or ions that comprise a solid substance tightly together in the solid form. Upon heating, the particles gain enough kinetic energy to overcome the bonds that are holding them together and become mobile. This results in the fusion of the substance. Solidification occurs when a substance changes from a liquid to a solid. While in the liquid state, the particles in a substance possess enough kinetic energy to move around in close proximity to each other. When a drop in temperature occurs, the particles lose their kinetic energy and band together. Gradually, the particles settle into a fixed position, causing the substance to take shape and become a solid. Vaporization occurs when a substance changes from a liquid to a gas. The molecules in a liquid are in constant motion while staying relatively close together due to intermolecular forces. When an increase in temperature occurs, the molecules' kinetic energy also increases. This increase in temperature allows the molecules to gain kinetic energy and overcome the intermolecular forces, resulting in the vaporization of the substance. 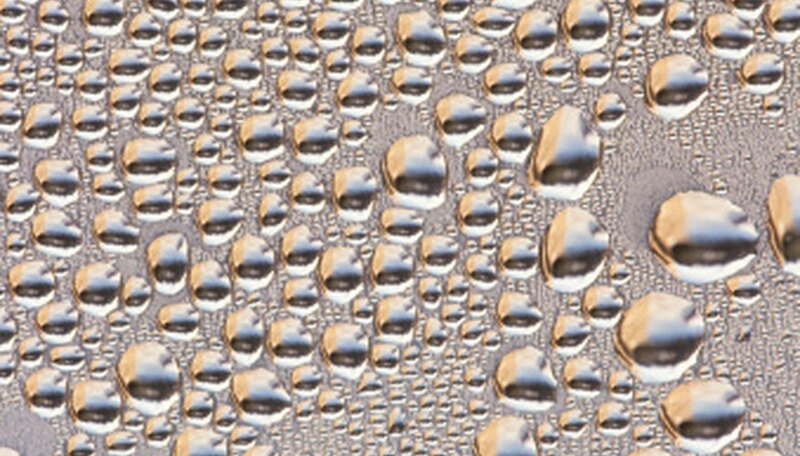 Condensation occurs when a substance changes from a vapor to a liquid. In a vapor, there are molecules with high and low kinetic energy that often collide with surfaces and each other. When molecules with low kinetic energy collide, intermolecular forces cause them to stick together. As temperature decreases, the kinetic energy of the molecules also decreases causing the molecules to stick together and resulting in condensation. Sublimation occurs when a substance changes from a solid into a gas. Increases in temperature causes the kinetic energy of particles to also increase. This allows the particles to overcome the intermolecular forces and become mobile. Low pressure also increases the particles' kinetic energy. As the particles escape the solid and disperse as a gas, sublimation occurs. Physical vapor deposition occurs when a substance changes from a gas into a solid. In low-pressure situations, thin films of vaporized materials develop on various surfaces due to plasma sputter bombardment or high-temperature vacuum evaporation. Roberts, Calia. "What Are the Six Processes of a Phase Change?" Sciencing, https://sciencing.com/six-processes-phase-change-8452389.html. 25 April 2017.